Jan. 17, 2019, 10:35 a.m.
By Christine Schmidt @newsbyschmidt Jan. 17, 2019, 10:35 a.m. In its seven years, Matter.vc has shepherded 73 media startups through eight accelerator programs, funded by two rounds of investments from a bunch of media companies. But to put it in old-school media terms, the presses have ground to a temporary — but maybe permanent — halt. While the program has undergone shifts — scaling to New York City, taking a broader approach to defining “media,” creating local Matter-style boot camps with journalism schools across the country — the next prototype is very much still under construction. Or rather, it’s undergoing a flare (a period to “uncritically explore and ideate,” as Ford describes this reflection period) after funds for the third round of Matter money fell through. It’s a symptom of media’s risk-averse funding environment, but it’s also a loss — at least temporary, maybe permanently — for innovation in the industry. Through investments and its accelerator, Matter pumped up a number of news-related startups you’ve likely heard of, including Nuzzel, Hearken, News Deeply, Spoken Layer, and NewsWhip; Matter companies have also been acquired by Kickstarter and BuzzFeed. (We’ve covered a number of others.) Matter also took a crack at shifting the diversity ratios and culture in both startupland and mediaworld: Half of the CEOs of startups in its second fund were women and 40 percent were people of color. But the funding had dried up. 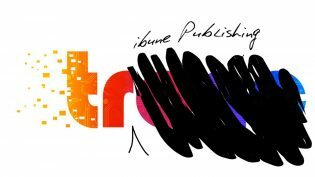 Previous investors included Tribune Publishing, The New York Times Company, the Knight Foundation, Associated Press, Tamedia, PRX, McClatchy, KQED, Google News Initiative, Community Newspaper Holdings Inc., and A.H. Belo; you may have heard that a few of those media companies have money struggles of their own. Schmidt: You said in the Medium post that this was two years of trying to figure out where the next fund was coming from. Can you walk me through the process of what happened with Matter? Ford: Matter was founded in 2012, and the way we operate is we’re an early stage venture capital fund with a unique structure. Our investors are media companies who are investing for two reasons: for the potential upside of the investment, but most importantly for the innovation benefit they can get from going through our program. It was looking extremely likely, once we expanded to New York City in 2016 and proved out the scalability of our model in both cities, that we would be able to secure what we needed as a foundation for Fund III from our current partners and then expand beyond them and close a fund that would take us through the end of 2020. Basically, it became apparent after doing that that, even though all our partners wanted to continue with Matter, not enough of them honestly were in the financial position to do that. I spent the last two years going from “it looks really good for us” to a waiting game to “oh, maybe this current model doesn’t work.” On one hand, I think what we did was we created a model that was actually perfect for the industry and what the industry needs. I continue to believe in our mission. The industry needs a space where innovation can happen — both on the entrepreneurial side and in a way where we can inject it into media institutions that matter. We created this pretty creative unique business model to make that happen in a very risky space. Early-stage media is very risky. VCs aren’t clamoring to get into this space. But it’s very necessary. There are huge problems to be solved in this space and some need to be solved from the outside and some from the inside. So the model we had developed was: We can make early-stage risky bets by investing money from strategic media companies and we can reduce the risk of those investments by providing services to those media companies that they would probably be paying a lot more for but they didn’t have to pay for them because it was the investment. It takes the risk out of the equation. I still believe in that model. I wish and hope Matter could still exist based on that model. But the flipside of that model is that Matter is not diversified. It’s overly concentrated in depending on media companies for its future. The macro environment for media companies, especially journalism companies, is worse not better than when we started. It’s kind of a Catch-22 there. Schmidt: So what is flaring looking like for you now? What is the status of Matter at this point? Ford: I’m just at the beginning of the flaring journey. When you build something, especially over seven years as I did — Matter has been my baby. I haven’t allowed myself to think of anything beyond Matter until honestly I published that post. Now I’m separating myself out from Matter and taking a step back. The world has changed dramatically in the last seven years — what should I pour myself into next? I want to be clear, it could be Matter again. But I’m very specifically separating myself out from that to give myself the widest options. Schmidt: Not to put you back in the Matter box, then, but what would you say you’re most proud of from your time with Matter and what do you think you would have done differently? I’m proud of the team we’d built. I’m proud we were able to figure out how to replicate and scale the culture; it’s not something that’s easy to do and we were able to do that in our expansion to New York. I’m proud that we were able to get in the right direction in terms of diversity and inclusion for our portfolio. In our second fund, 50 percent of our CEO founders — not just the founders but the CEOs — were women and 40 percent were entrepreneurs of color. I wish that were even better, but I think in an industry where that’s been pretty horrible both on the VC side and in terms of media, I think the seeds we planted there are going to be really important for future leaders within this industry. I’m proud of a number of things, but at the end of the day what we created were experiences that literally changed how some founders and some leaders approached their lives and their work and are able to achieve their goals better and able to be leaders that then affect others. Obviously, I wish I had cracked a sustainable business model for Matter. I’m not sure exactly how to do that because I’m pretty proud of the creative business model we came up, with but obviously looking back it was overly concentrated within media journalism companies. 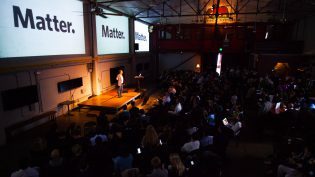 Matter’s success depended on their financial success, and ultimately the top-down trends in the industry are really hard. We had set ourselves up to be vulnerable to things that were out of our control. We could have maybe had a more resilient business model behind what we did. But if we did there would have been a lot of tradeoffs — we wouldn’t have been as specialized and impactful in the media and journalism space. When we started Matter, I decided that we needed to take a venture capital approach to this. I still think that was the right starting point for Matter, because there really wasn’t anything offered like it in the marketplace when we started. However, I wish that we could have figured out a model that was a mix of companies that are on the venture capital journey — I feel like there’s an opportunity in the middle, in between nonprofits and venture capital. I think especially this space is one where I call it, to use a baseball analogy, instead of looking for only grand slams, what are the good doubles? We made a lot of investments over time that we knew were never going to be grand slams, but that we thought could be good sustainable, viable doubles that were actually solving a really important problem in this space. I’m glad we made those bets. What I wish is that I had figured out a way to have more of a supportive ecosystem from an investment perspective for those doubles. Schmidt: What do you think this shows about the venture capital and media investing environment now? There’s a lot of hype about potential consolidation recently, from the floated idea of BuzzFeed/Vox Media/Vice/Group Nine/Refinery to the bid of Digital First Media on Gannett. How does that play into the place that Matter is in today? Ford: From a venture capital perspective, media is hard. For as much as there’s talk about the world being awash with VC money and VCs saying that they like making early-stage bets, I think what we’ve seen is that the natural order of things in venture capital is venture capitalists honestly go later-stage over time and are more risk averse on the early-stage side of things. I think that media is not a space that a lot of VCs are itching to get into necessarily. Now, I think part of that is issues around the label of what media actually means. 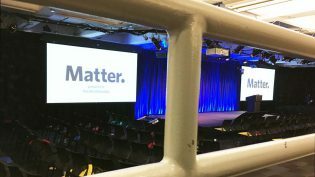 At Matter, we’ve always intentionally been very broad about that — we see it as the connective tissue of society — but in a lot of VCs’ minds, media is content and something that isn’t scalable. The other thing you see in this sort of environment is that the power of network effects are so strong, as well as backed by data, that the marketplace is almost anti-competitive when it comes to the big tech companies right now. It’s so hard to break into that space. Obviously, there are huge cracks, and trust is a big issue, and there will be big opportunities in this space. But there’s not enough of an ecosystem betting on that at the moment because of the power of the big players. Schmidt: There’s also been some pushback to VC funding recently, like The New York Times piece this past weekend highlighting the startup founders gathering through the Zebras Unite movement: “While still a small part of the start-up community, these founders have become more vocal in the last year as they connect venture capitalists’ insatiable appetite for growth to the tech industry’s myriad crises.” Jennifer Brandel, a Matter alum, is a co-founder. What are your thoughts on that approach? Ford: I think they’re really onto something there, and I’m really excited and proud. Where I think it needs to go is there needs to be a lot of work done on what does the model look like to invest in zebra companies. Where I would like to see the discussion go, No. 1, is the hypothesis that there can and should be investors in zebra companies. I’m hoping the answer is yes. I’m hoping the answer is not a choice between venture capital and bootstrapping — that there are entities that can be there to support these companies. The second part of that is, if so, what would the model be for an investor in zebra companies? I’m especially interested in the question of: Can an investor in zebra companies still make risky early-stage bets? Obviously, that’s the stage I play in and I think it’s tremendously important that there be capital out there that is making early-stage bets on entrepreneurs. There’s obviously a ton of capital out there for people who have already proven out their business models, but the real value-add is who will be there to bet on companies early. In the venture capital model, the way that works is you’re able to make lots of risky early-stage bets because hopefully you end up having some hits come out of there that can make up for the inevitable losses coming from failed bets. What I don’t completely understand yet in the zebra movement is: If we’re saying that you’re taking the grand slams out of the portfolio, does that mean that the risk-reward balance changes? And does that mean you can’t make earlier-stage bets? That’s something I wouldn’t like if that were the outcome. I don’t think that’s what they’re going for at all, but I think the next stage here is a real model. I do know there’s a lot of experimentation being done in the different types of structures that you can do to invest in the zebra type company. Schmidt: We’ve talked about how the funders have changed. But how have you seen the fundees — the startups at Matter — change? Ford: Over time, we saw startups get even more mission-focused. But the thing is, I’m not sure if that’s because Matter changed or because the world changed. Obviously, post-2016 we saw a big surge in people who wanted to make a difference in terms of democracy and inclusion, and we did as well. I feel like startups have become even more purpose-driven in this space. The space has become even harder to be successful in, so you need something that you’re working on every day beyond just trying to make a lot of money, and the problems in our society are more apparent than before. Schmidt: How has Matter changed with that? Ford: Our mission literally got refined over time — our mission at the beginning was to support entrepreneurs who we believe had the potential to create a more informed, connected, and empowered society. Post-2016, I did a lot of reflecting on that and how it showed up in practice; “informed” was more important than ever, and when I looked at “connected,” the question was: For what purpose? That’s just when the cracks of Facebook’s failure during the election were starting to be seen. What we really reflected on was: It’s not enough to be just connected. You can be connected for good or for bad. What was really lacking was empathy. So we changed that part of our mission from “more connected” to “more empathetic” and really looked at the world through that lens. And the word “empowered” — it’s just too broad. So we changed our focus to “inclusive” because inclusivity is such a huge problem and opportunity within media and within venture capital. We wanted to really sharpen our focus on that. Post-2016, you look at what’s happening, the diversity and inclusion standards right now within newsrooms, and it’s worse than it was in the 1970s. You don’t have diverse and inclusive leadership within news, while at the same time you have an administration coming in that can be an existential threat, especially to non-whites and non-males. And so the issue we saw coming was a potentially huge frog-in-the-pot problem within journalism — where journalists and journalism organizations wouldn’t actually react and recognize the extent of these existential issues quickly enough because they didn’t have diverse leaders. We really wanted to put out a call for people working in that space, as well as to back more entrepreneurs of color. Ford: I 100 percent stand by that, and that’s the thing Matter did best. I’d like to continue to be able to affect that in some way. Ultimately, I think everybody in media needs to realize that the world is changing so fast — exponentially in many ways. It’s obviously changing from a technological perspective, but that’s also affecting the user behavior and expectations. Ultimately, that’s going to affect what the business models are. We have a lot of media organizations who still haven’t changed much in the last 20 years. Then we have some who say we need to change and need to come up with the next big thing. I don’t think it’s any of those. The focus needs to be: If you’re going to be long-term sustainable, how do you build an organization with a culture and processes that enable teams to constantly be understanding their audience and adjusting — constantly be experimenting with new technologies, and constantly seeking out new sustainable business models? If you’re a leader of a media organization and that’s not the No. 1 thing you’re thinking about every single day, I don’t think you’re leading your organization to long-term success. Culture is a fuzzy word. Culture is hard. But ultimately at the end of the day culture is going to be the key competitive and sustainable advantage that’s going to be ultimately what cracks it for a media organization. The hard work needs to be done there. That’s the hard work we were focused on at Matter. It would have been much easier to ignore that side of things. But then why were we doing what we were doing in the first place? Photo of Ford (above the “tt” in Matter), the team, and the seventh class courtesy of Matter. POSTED Jan. 17, 2019, 10:35 a.m.
Schmidt, Christine. "“Media is hard”: Corey Ford on why his media venture fund Matter is paused (for now)." Nieman Journalism Lab. Nieman Foundation for Journalism at Harvard, 17 Jan. 2019. Web. 18 Apr. 2019. 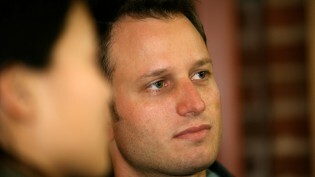 Schmidt, Christine. "“Media is hard”: Corey Ford on why his media venture fund Matter is paused (for now)." Nieman Journalism Lab. Last modified January 17, 2019. Accessed April 18, 2019. https://www.niemanlab.org/2019/01/media-is-hard-corey-ford-on-why-his-media-venture-fund-matter-is-paused-for-now/.